Called for Life How Loving Our Neighbor Led Us into the Heart of the Ebola Epidemic | Free eBooks Download - EBOOKEE! "Kent, bud. We got your test result. And I'm really sorry to tell you that it is positive for Ebola." Dr. Kent and Amber Brantly moved with their children to war-torn Liberia in the fall of 2013 to provide medical care for people in great need-to help replace hopelessness with hope. When, less than a year later, Kent contracted the deadly Ebola virus, hope became what he and Amber needed too. When Kent received the diagnosis, he was already alone and in quarantine in the Brantly home in Liberia. Amber and the children had left just days earlier on a trip to the United States. Kent's personal battle against the horrific Ebola began, and as thousands of people worldwide prayed for his life, a miraculous series of events unfolded. 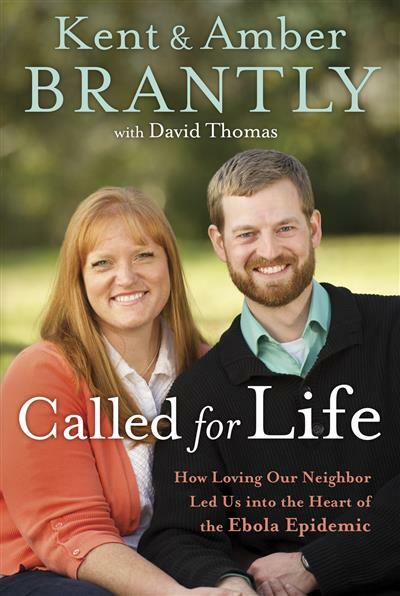 Called for Life tells the riveting inside story of Kent and Amber's call to serve their neighbors, as well as Kent's fight for life with Ebola and Amber's' struggle to support him from half-a-world away. Most significantly, Called for Life reminds us of the risk, the honor, and the joy to be known when God and others are served without reservation. No comments for "Called for Life How Loving Our Neighbor Led Us into the Heart of the Ebola Epidemic".